Saxon One Royal Blue by Tutima Glashütte is a beautiful chronograph with a lovely shade of blue used for the dial. It is unusual in that it is one of the few chronographs offering a radically different display: in this case, with centre-pivot hands for both chronograph seconds and chronograph minutes. Everything is nicely organized and well laid out. Its bidirectional rotating bezel with red index mark is useful for additional timing purposes and count-downs. In short, it’s a watch that offers a lot, in a good-looking package, at an interesting price. The stainless steel case is 43 mm in diameter and 15.7 mm thick. It is cushion-shaped, with a distinctive bezel in the shape of a very flat truncated pyramid. Both case and bracelet feature an alternation of gloss and satin-finish steel. The most exceptional feature of the case is the right-hand side, with flat pushers and a crown protector that are so subtle that at first sight the watch doesn’t resemble a chronograph. The crown is screw-down and so the watch is water-resistant to 20 atm, 200 metres. 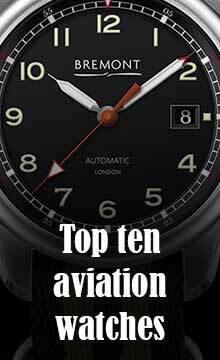 The dial is well-designed, with a seconds scale subdivided into quarter-seconds, and subdials for 24-hour time at 12 o’clock, continuous seconds at 9 o’clock, and chronograph hours at 6 o’clock. The three chronograph hands are in red, and they can be distinguished by their different lengths: the seconds hand extends out a bit further, reaching the quarter-second divisions. The three hands for the time share an interesting lancet shape. Hour markers, and hour and minute hands, have areas of SuperLuminova for night-time visibility. 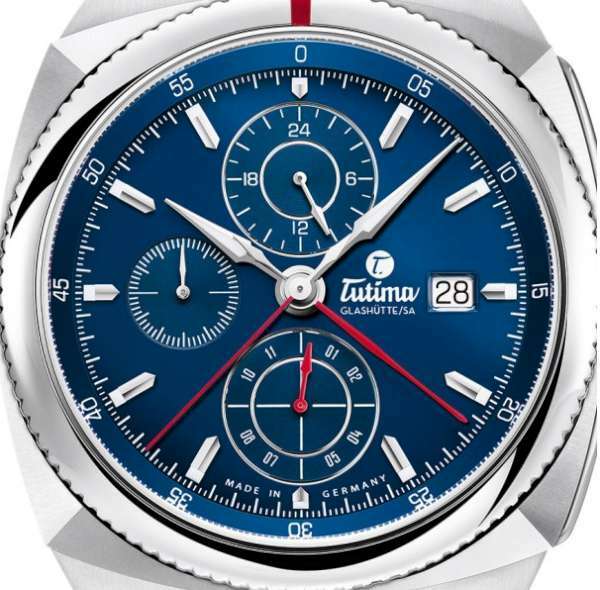 The rotating bezel with red marker is an important part of Tutima’s DNA. 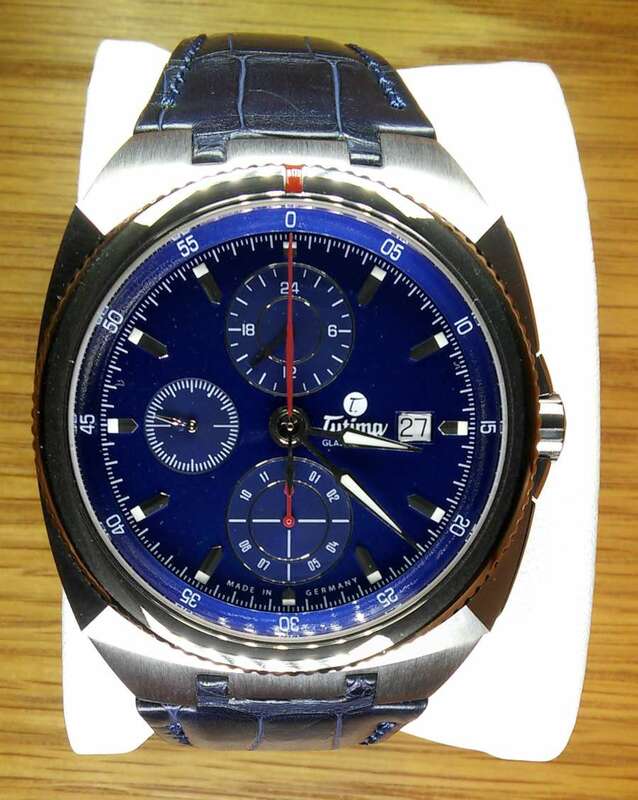 It is given greater functionality in other Tutima watches such as the M2. The self-winding movement has close connections to Tutima’s history. The brand used the Lemania 5100 for many years, and that movement was unusual for its centre-sweep chronograph minutes hand. The Lemania 5100 movement disappeared from the market in about 2001, after Breguet, which had purchased Nouvelle Lémania in 1992, became part of Swatch Group in 1999. According to group policy, movements made by Swatch Group plants ETA and Lemania would only be sold to Swatch Group brands, and no brand was using the 5100, and so it was discontinued. The Tutima 521 is a Valjoux 7750 that is modified by Tutima to duplicate the features of the Lemania 5100. 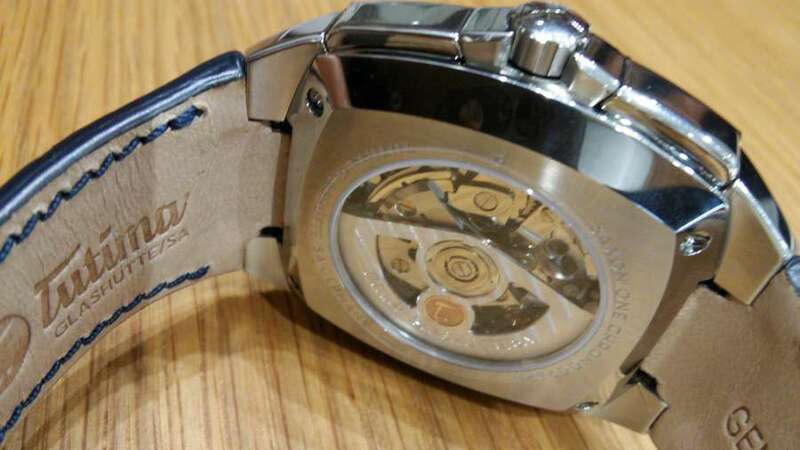 So its performance characteristics are typical of a 7750, with 25 jewels, a balance running at 4 Hertz, 28,800 vibrations per hour, and a power reserve of 44-48 hours. The movement can be seen through the sapphire caseback, and it is personalized with polished screws, and a Tutima oscillating weight that has a gold seal displaying the Tutima emblem. Pusher operation is positive, with a marked click. 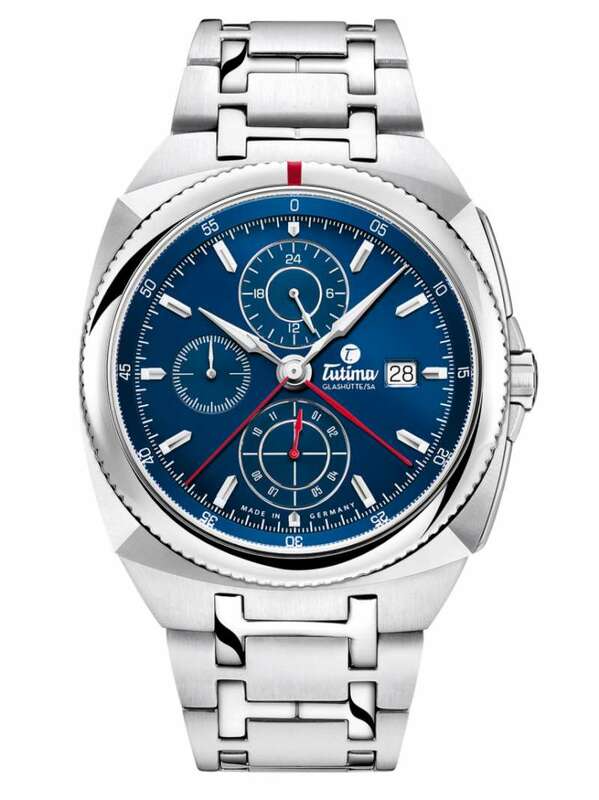 The Tutima Saxon One Chronograph Royal Blue 6420-05 costs €4,600 with leather strap, €4,900 with bracelet. As you can see from the photo below, it looks even better than the official photographs provided by the brand. Read more on the Tutima website.